Nowadays, people more concern about sustainable aspect in planning issue, especially some natural threat and how to avoid it. The lack of water source and the flood push people to think about it. So the Sustainable drainage system is a system used for controlling the water on the surface run off. It can avoid appropriate risk to flood. And it can provide some environmental benefits, like create a space more biodiversity. Here are a case in Upton, Northampton, which shows an example for urban extension and sustainable aspect in planning practice. Upton is a neighbourhood design scheme. The houses and apartments in Upton are used some environment friendly materials. In other to collect the rainfall here, the designer use some basic structure for landscape in SUDS. Those sustainable structure are pond, square, ground and playing area in the neighbourhood. The image below shows the key landscape infrastructure in Upton scheme. From this image, we can see there are a lot green space along the streets and blocks. Also there are a central green space located in the middle of this scheme. So the green infrastructure are evenly distributed. Depending on the different context of the site, there may use different way to deliver the SUDS. The streets are use permeable material for the surface in order to manager the water flow. Those materials are soft landscape. There mainly use the grass and some kinds of vegetation grow on the water. In Upton, the local centre, transport facilities and community facilities are also part of SUDS. 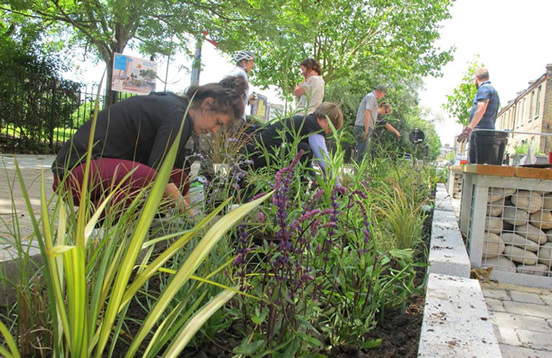 Here are another example shows the SUDS in a pocket park in London. It is the dead end of a public highway which use for car parking. So the designer want to bring the social life to here and good quality environment. So the SUDS here have a function that change the material to collect the rainwater use permeable materials on the ground so that the water can flow to the garden. As considering the communication for residents here and to convey the idea about SUDS, there held an event to plant in this small park. I think base on the different situation, we need a deep thinking to consider how to delivery our sustainable idea in our design scheme. Rudi.net. (2016). Upton: design codes as a collaborative tool | RUDI – Resource for Urban Development International. [online] Available at: http://www.rudi.net/node/19134 [Accessed 2 Jun. 2016]. Susdrain.org. (2016). Derbyshire Street Pocket Park, London Borough of Tower Hamlets. 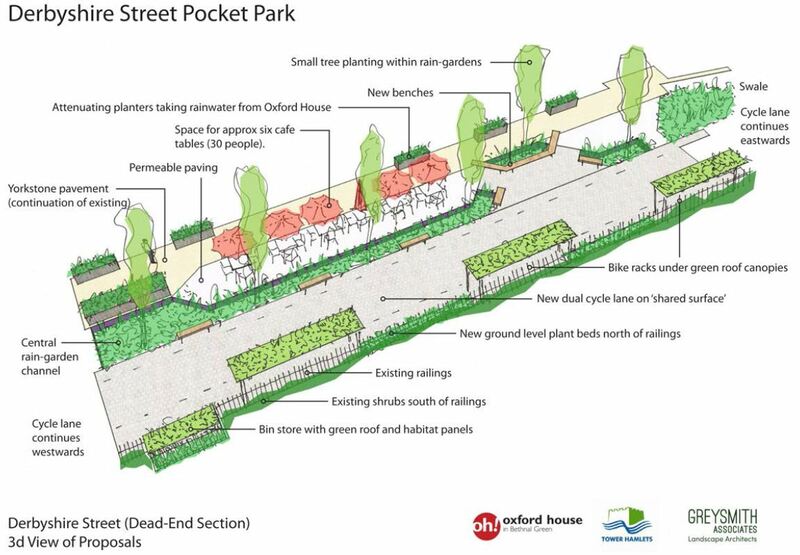 [online] Available at: http://www.susdrain.org/case-studies/case_studies/derbyshire_street_pocket_park_london_borough_tower_hamlets_1.html [Accessed 2 Jun. 2016].